A spooky, goofy story that follows a live-streamer in her attempt to locate a ghost hunter. A fantasy and romance visual novel with a bit of mystery. A glimpse into the life of the first Witches. Three months ago, Jill learned ghosts are real. Now she has to save the only Acolyte who can help her live in a world of the dead. In October of 2017, Jill Count held an IRL streaming event from within the haunted hospital of Saint Heart. The events there left her forever changed and able to now see ghosts. Haunted by the ghost of a young man she met there, Jill travels to find Tyrone, hoping he can help her. Finding him missing, she is quickly roped into helping save him. Little does she know what she is actually walking into. There are seven magics, five more than have ever been explored, and that is only the tip of the iceberg. The kobolds, once a beast of myth, have forged an alliance with Celeste. A mad demigod rages across the land, aiming to end the tyranny of monarchies with Celeste in his sights. Meanwhile, a magical talking sword is busy preparing the misfit mages of the Ryuusian Royal Cabal for a clash against an arcane foe from distant lands of fable. 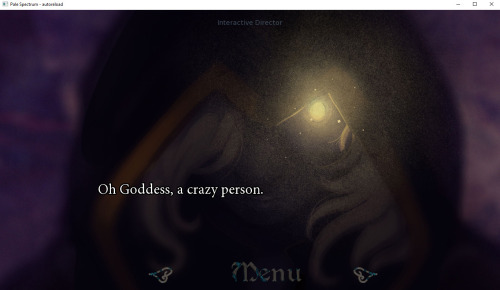 Brilliant Shadows is a visual novel that follows the story of Veronica Ashmar, a new graduate of the Mountain and a necromancer. Tradition dictates that upon graduation, necromancers and paladins are to perform the pairing ritual. Binding together one of each type of mage, entwining their lives and powers with another and sealing their fates together with a matching mark upon their primary hands. This year has just flown by for us here. It’s been a mixture of ups and downs, though overall ups I’d say. We released Perceptions of the Dead 2 which was a fun diversion from our previous fantasy/romance games. Pale Spectrum took a lot of mental fortitude out of us, and so we desperately needed a break and change of pace. Perceptions of the Dead 2 features (at the moment, 3) short stories that were much easier to complete in a timely manner than the longer, overarching stories. The end of the year has seen the start of a few new projects, some of which have a planned release next year. Firstly we have Stars and Snowdrops, a game that is intended to be short, cutesy and filled with fun lesbian romance. It features a princess that must come to terms with a rather rude awakening and her budding feelings for the lady dragoness tasked with helping her grow into being a queen. Ideally this will be released sometime in quarter one of 2019. More on that in the future! For Perceptions of the Dead 2 we have at least 1 more guaranteed episode to release, entitled House Haunting, in which Marcus, with the help of Ripley, looks into buying a house in an effort to escape all of the ghostly drama that surrounds him. This will likely see release sometime before Quarter two 2019. Jacob’s Isles is a fantasy/romance/adventure game with a sprinkling of sci-fi that takes place on a series of magical, floating islands. It will feature at least one female lead, possibly more, and a few romances to explore while simultaneously exploring the world. JI is a game that we initially concepted many years ago, and in fact, attempted to kickstart under a slightly different name. While the KS did not reach its goals, we’ve always had a soft place in our heart for that story and so we’ve been slowly brainstorming on it for these long years. The goal is to build up art assets, writing, a solid demo and launch a kickstarter for it sometime in 2019. Aside from that, everything else is in the wind, and still being brewed in our heads. Geckos will be splitting efforts between these projects as well as working on animated cgs for Women of Xal and sprite/cg art for another, as of yet unnamed, visual novel for another studio. Wishing you all well in 2019! Undercover Undead is just about complete. I need to edit about 40 more lines and add music to the scenes before I send it out to get some beta testing. The plan is to release the 2nd story “Undercover Undead” for Halloween week for spooky goodness! It will have a bit of new music (unplanned, but I’m considering trying to get a new track each story~ ;D ) and a lot of fun little animated clips and videos, as I’m getting more used to After Effects and seeing narratives in my head more easily. That being said, we’re going to try our best to finish an extra little surprise, for release at the same time as well, but time will tell if we can pull that off. And if you caught that little tidbit earlier, yes, we do have plans for additional stories for the game past Undercover Undead! We have a few ideas, in various states of development, and only time, inspiration and funds will ultimately decide how many stories will end up making it into the game. Almost certainly, at least a total of 4. Hope everyone’s having a great month! We’ve been hard at work on the next Perceptions of the Dead 2 story over at Ithaqua Labs these past weeks. In addition to new backgrounds and cgs, I spent a good chunk of time updating, optimizing, and expanding upon existing sprites. Jill’s sprite has received a new outfit and hairstyle, and, along with Owen, has been converted to new code for Ren’Py called Layered Images. It’s super modular and forgiving, once you wrap your head around it, and makes updating and expanding sprites super easy (compared to the old style)! Because of that Owen now has some extra expressions and arm variations to help liven up his sprite and get across his personality. Tyrone’s sprite has been totally overhauled, as well. His initial sprite was pretty bare-bones since his role in the first story was so small. You’ll get to spend some more time with him in Undercover Undead! We’ve also picked up a few amazing new voices for new characters, and will hopefully have names and samples to share with you soon. Hope your weekend was amazing! Was released this summer and is available both on Steam and Itch.io. Work on the second story for the game is well underway. We’ve received a few hundred voice lines from our current roster of awesome VA’s, and auditions for extras for the story are also underway. As with all Perceptions of the Dead games, there will be a good amount of experimentation with visual storytelling. Some extra sprite poses have been made for Tulip, who features as a main character in the second story. The lovely Lauren Kawamura did a particularly great job on the voices for her, and was so animated in doing so that I wanted the sprite to at least try to keep up with her. Other sprites may see some updated poses as well, time will tell! Tulip, in particular, is easy to do extra poses for since she has only 1 outfit and 1 hairstyle, so any extra art positions or body positions don’t immediately result in cumulatively large amounts of required work. That, paired with Ren’Py having a newly released Layered Sprite system, left me wanting to try to take advantage of extra animated sprites. The OST for Perceptions of the Dead 2 is available now on Itch.io. Composed by the everlovely Johnathan Johnson. It contains 23 songs that you’ve heard from the game, and at least one that hasn’t yet made an appearance. Auditions for extra characters for story 2, Undercover Undead, are underway and the script has been added into Ren’Py as coding begins. Perceptions of the Dead – and its sequel! Hey all, it’s been a hot minute since we’ve had a post about our goings-ons here! A short, free to play visual novel with 3 spooky, goofy short stories about ghosts and monsters. Each story is 15-30 minutes long and is fully voice acted. It was released for free on Halloween of 2017, and you can find it on Steam and Itch! Shortly following this, we were inspired by the response that it got to work on a sequel to the game. The story continues with the characters that you are introduced to in part 1, and a few new folk show up as well. It’s about 1 hour and 30 minutes to 2 hours long, and features short, animated clips to help enhance the story. A second short story is currently in production and will be added to the game as a free patch, thanks to our wonderful Kickstarter Backers. It features some voices you may recognize from the Book of Gray Magic series, and an OST by Johnathan Johnson. Stop by and take a peak if you think the story interests you! And thank you for playing our games~! Pale Spectrum – Officially Released! Pale Spectrum has been released and is now available on Steam! One thing is certain, no threat the cabal faces compares to their greatest challenge: relationships, love, and family troubles. Pale Spectrum is the sequel to Brilliant Shadows, and both are adventures from the Book of Gray Magic. Follow along with Necromancers, Paladins, Witches, and Changelings in this story of intrigue, mystery and magic. Pale Spectrum is around 6-13 hours of play time depending on read speed and route choice. The game has a number of large branches and a plethora of smaller ones, enhancing its replay potential. It sits at just over 200k words. All spoken lines in the game are voiced, bringing an extra level of life to our cast of 30+ characters. There are over 50 choices that you can make in the game, all of which influence the 10+ unique endings. Pale Spectrum features an extensive, combined sound track from the Book of Gray Magic series. Pale Spectrum boasts 27 original tracks, and, combined with Brilliant Shadows 21 original tracks, has an hour of beautiful orchestral music composed by Johnathan Johnson. The story follows along with Belinda, Ash, Terra, Hektor, Prude, Aelfnod and Aku as main characters. Brilliant Shadows – update patch and weekend sale! Brilliant Shadows received a shiny update just in time for the anime weekend sale! It’s 35% off, making it $4.54! It’s been a little bit here since our last update. Balancing art, coding, emails and various public relation things can be quite a handful, and most days I just opt for doing work instead of talking about it! That being said, I am more likely to update our Twitter with misc. progress and various things that plague/amuse me that are at least mildly game dev related. Another round of auditions ended, and the results are as such! SungWon Cho is now voicing Krok! The other sprites are still being rendered. Pale Spectrum has 27 character folders at the moment, not counting small extras. I’m getting through the game at a decent pace, but it’ll still be a bit before everything is shiny! One entire route of the game is coded (if bare bones in places) into the game, with the other routes creeping along. This amount of writing sits at just under 100,000 words. 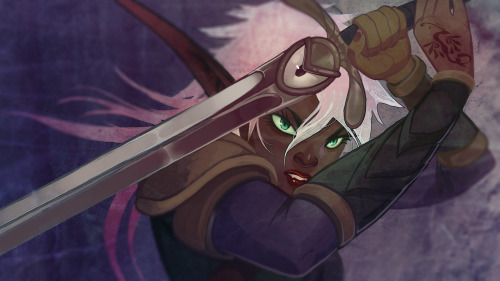 The last lines for a handful of main characters were commissioned, and some were even sent in! It is the beginning of the end, and it has been quite exciting. On the same hand, we have been dealing with construction on the house that we’re renting, and so the last ~two weeks have been a strange, randomized sort of torture involving hammer men for as little as 1 hour to as long as 11 hours a day, weekdays and/or weekends included. The sheer randomness and extended nature of this construction, a lot of energy has been spent on not going insane, as our little two person studio works from home. Having your home being hammered on from up to two sides at a time is incredibly distracting, and has played a number on our sleep/work schedules. That being said, I’ve thoroughly enjoyed playing through the game’s newer chapters that are less polished, as it means I haven’t read it more than once or twice. Some of the voice lines coming in catch me so delightedly off guard that it just brightens my day, or sends me into giggle fits. It’s a lot of work, putting in voices, but definitely a delight. As inspiration and time has struck me, I’ve begun working on later chapter cgs. Our lovely musician Johnathan Johnson, who composed for both Brilliant Shadows and Pale Spectrum, recently launched his own studio’s Kickstarter for a game filled with lovely, unique ladies. It was wildly successful and you can take a peek at what they’re up to here, if a political drama / romance visual novel sounds like something you’d be into! With some shiny new software upgrades to help speed up his composing, he was nice enough to create a short, epic track based off of Brilliant Shadows’ theme which he was kind enough to let us use in the game. And lastly I suppose I’ll drop this here. For anyone interested in behind-the-scenes stuff, such as the time-lapse of this image, you can check out my Patreon for various tidbits. The highlights of these tidbits will show up in the Art Book, once that gets started/finished! James Larabee, the amazing voice of Sword and a truly awesome individual in general, prompted me for some convention merchandise, which got me thinking. We don’t have a huge amount of it in general, so this image popped up in my head and I’m going to get some post-card sized prints of it, as well as use it as a CG during one of the final chapters. I may raffle off one on our Patreon for funsies in the near future. I have officially started the sketch for the poster of the game, and I’m thinking I’ll actually end up making two posters, possibly? As this first one has 12 characters in it, and while it is lovingly busy, I’m also thinking of a simpler one of just our lovely lady protagonist, Belinda. Sketches of this will likely show up on the Patreon shortly, if I’m ever confident enough in the mess to show it before completion! Well, now that I’ve written you all a small book! Hope everyone’s having a nice week. Being a two person studio, and also being that we just moved into a new place, both Nyo and I have been super busy, and so making updates has fallen to the wayside! Now that we have all of the information, I can finally post the results from the latescast auditions. We just recently put up auditions for what should be the last side characters in Pale Spectrum. If you or a friend is into voice acting, feel free to take a peak. Note: Some minor spoilers regarding the story so read at your own risk. Aside from that, I’ve been adding background variants to scenes as I go through and polish chapter 2. As well as narrative coding (sprite expressions) and music. The ending for the Mountain storyline has been written, and there’s only one remaining ending for the Palace storyline left to finish off. Which is good! Since the budget for the game is creeping close to what we had for it, which is pretty nutsy, seeing as that means we’ve spent over $5,000 on voice acting for the game so far. It’s great to see that the end is in sight! While not entirely certain of the exact release date just now, I’m aiming roughly for April-May, as that is the 1 year mark since the kickstarter campaign ended. We’ll see how it goes! This may just mean that the game is ready for beta testing during this time, or that it’s done except for a handful of voice over lines, but I think it’s a good goal to work towards. The studio has officially gotten moved into a new house, so expect the work flow to ramp up again as we get more and more settled.